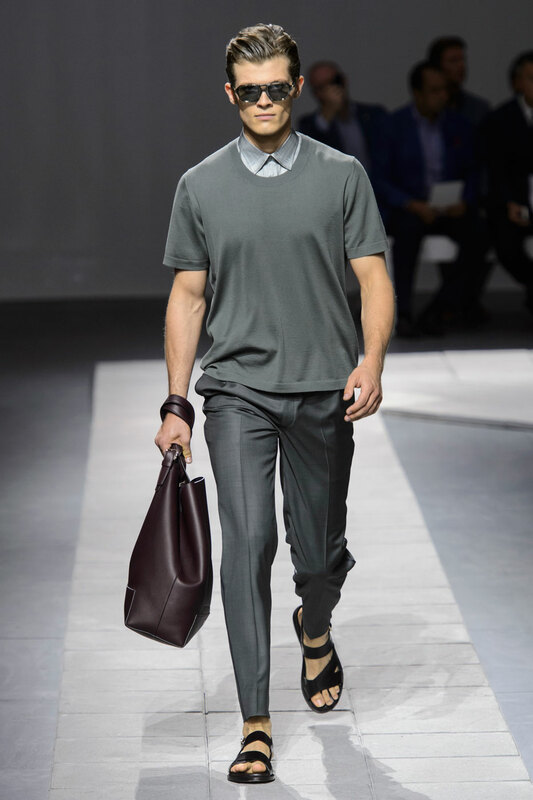 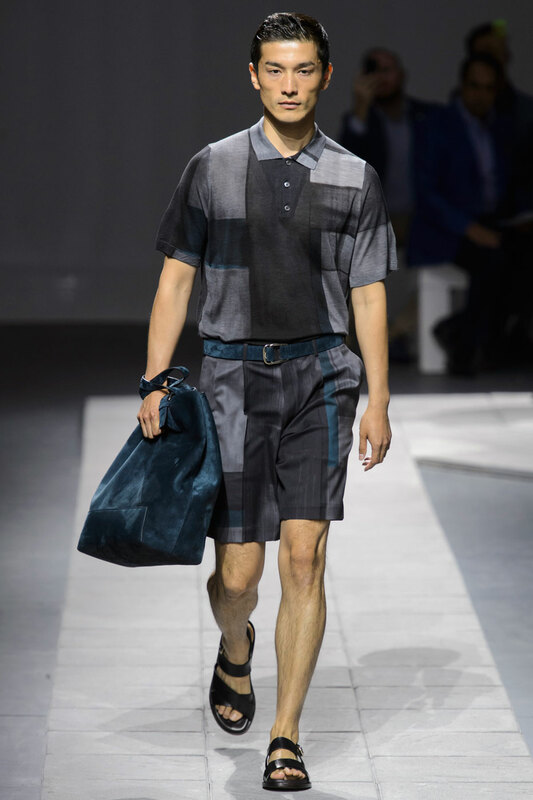 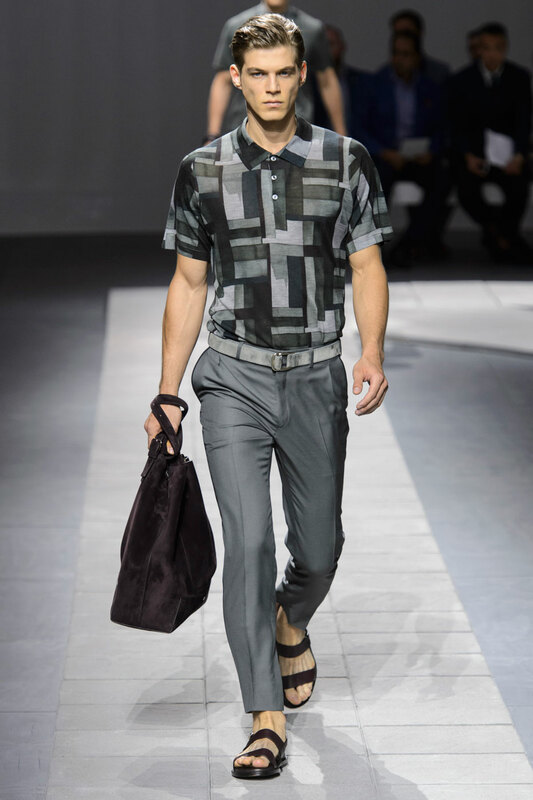 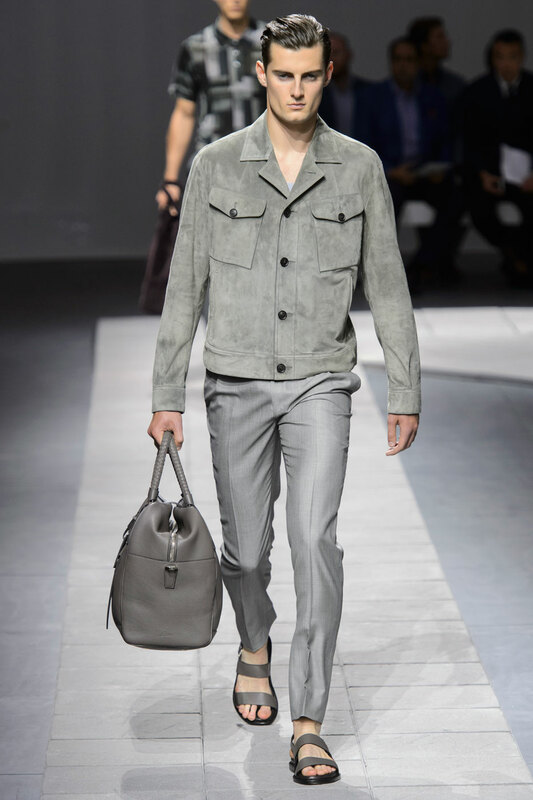 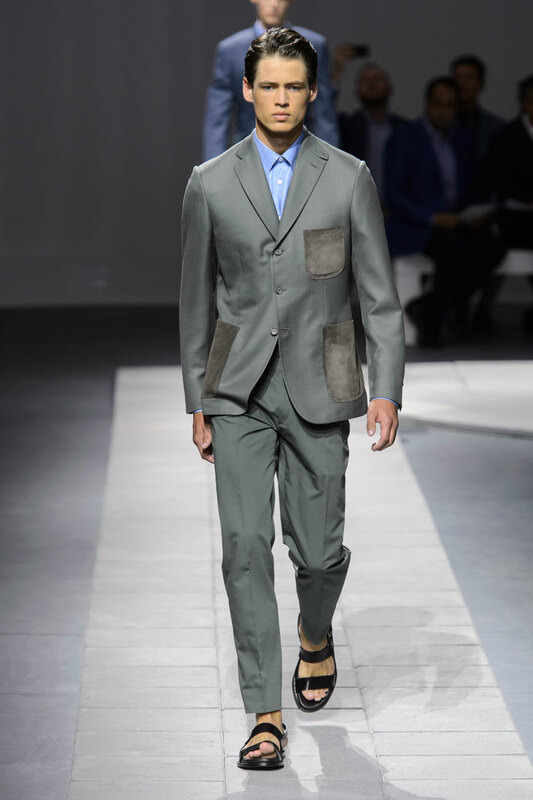 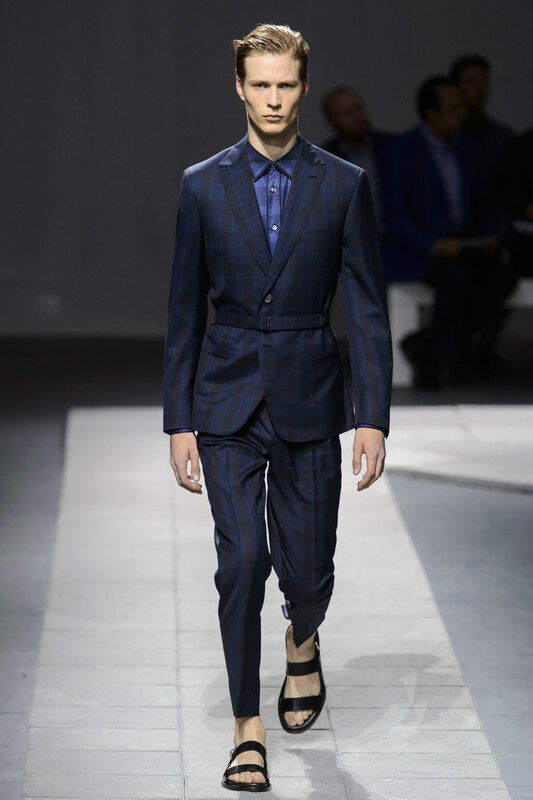 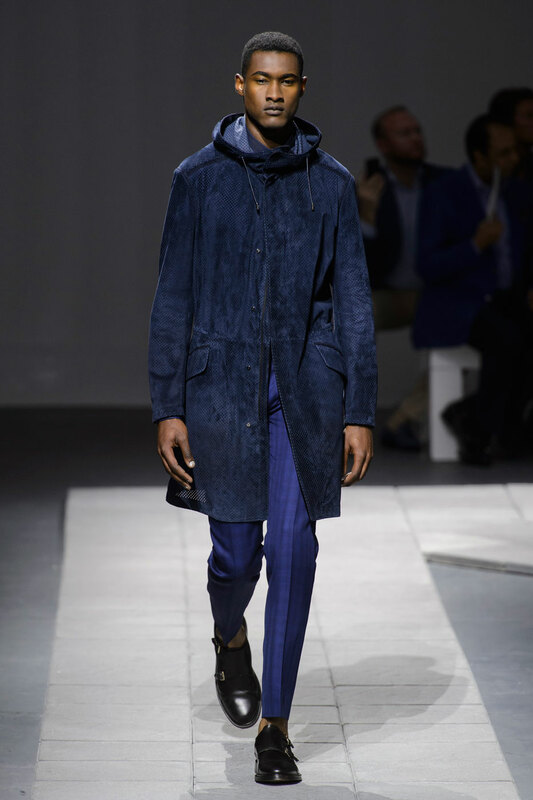 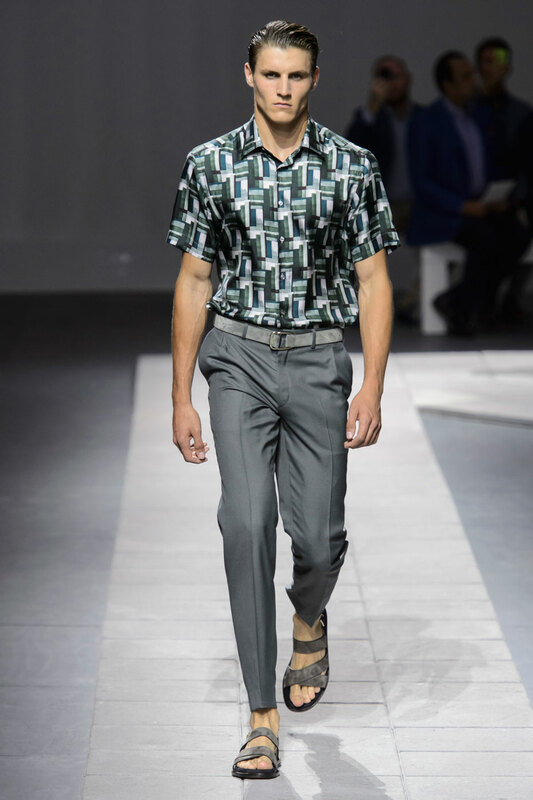 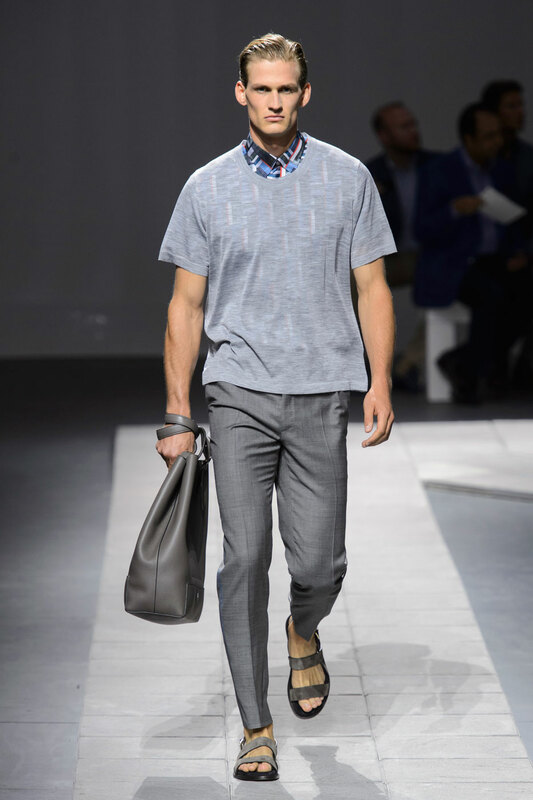 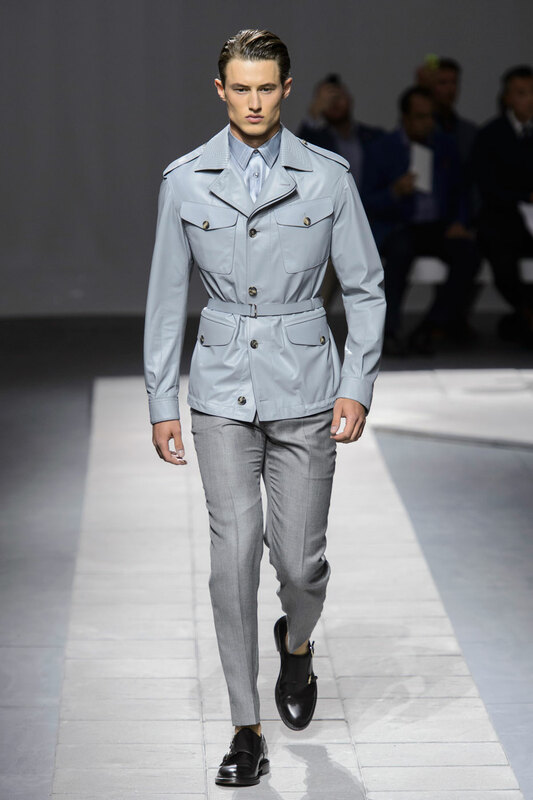 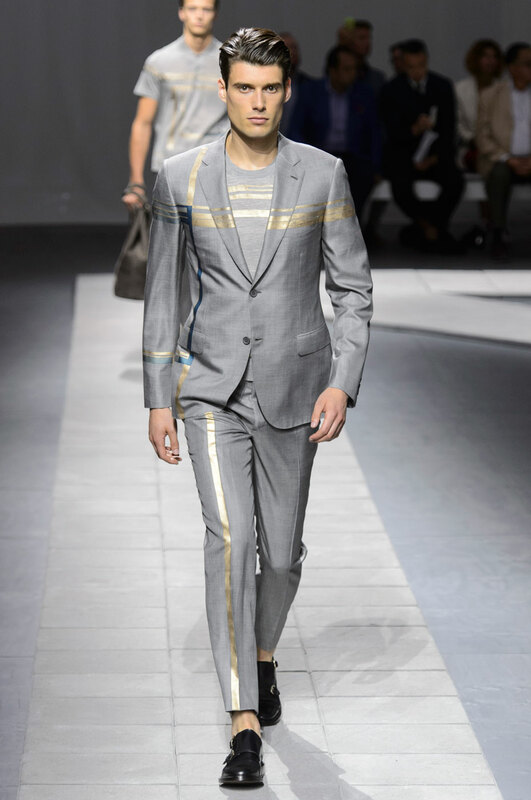 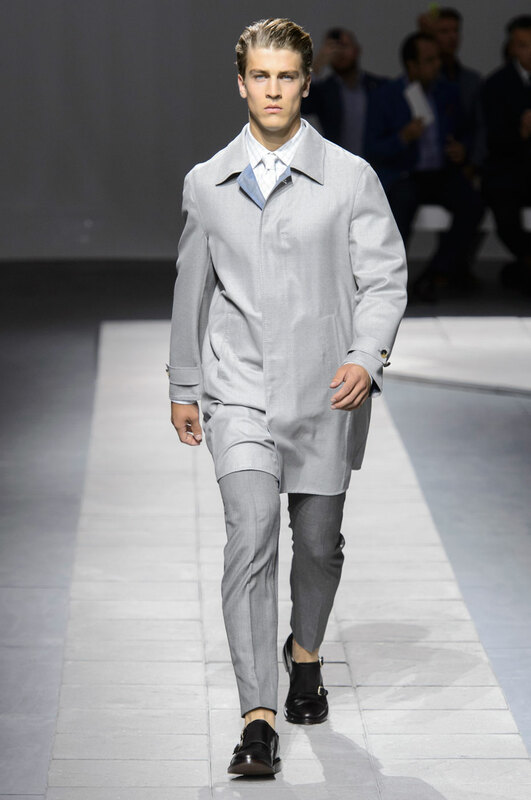 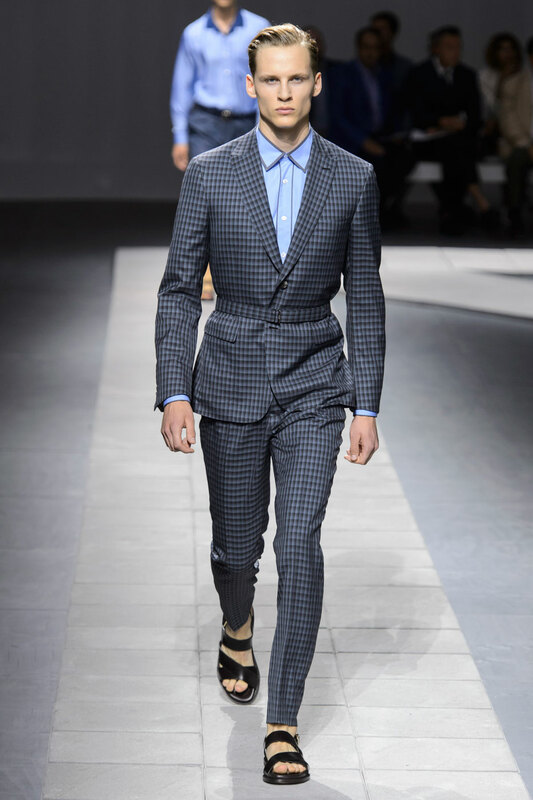 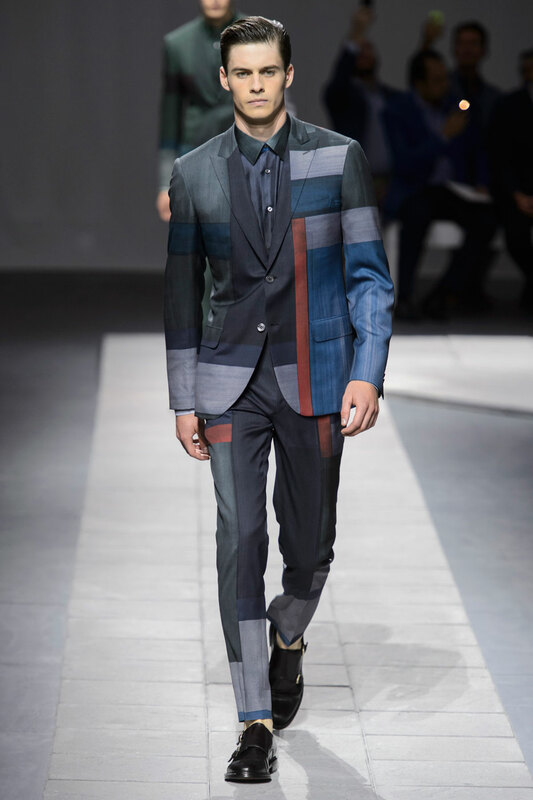 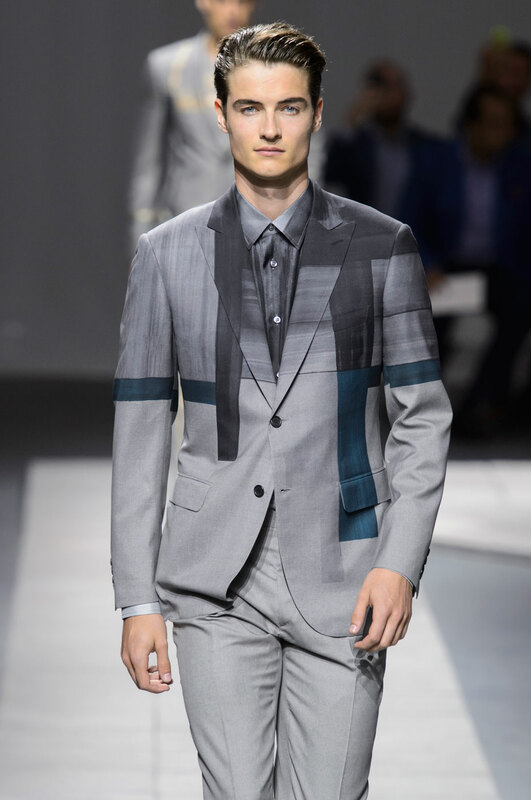 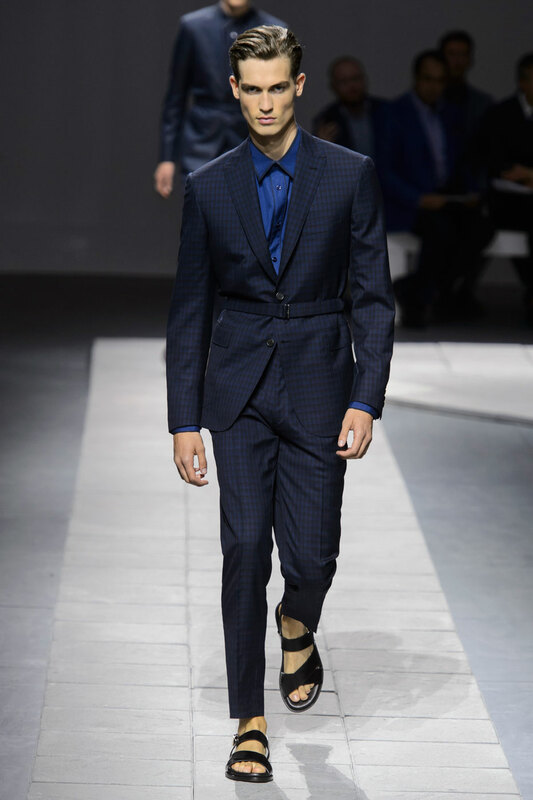 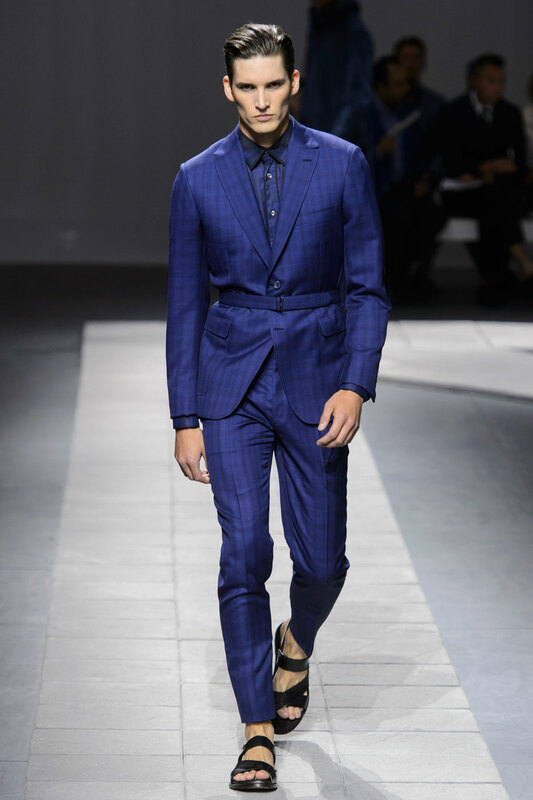 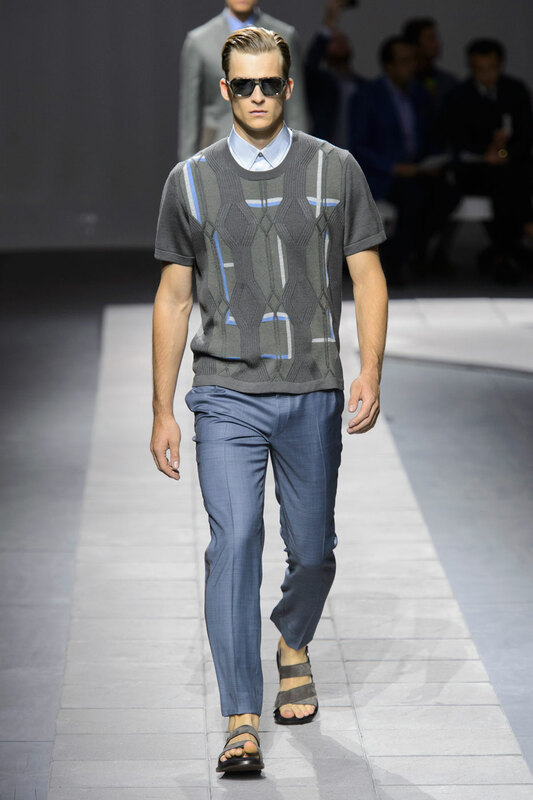 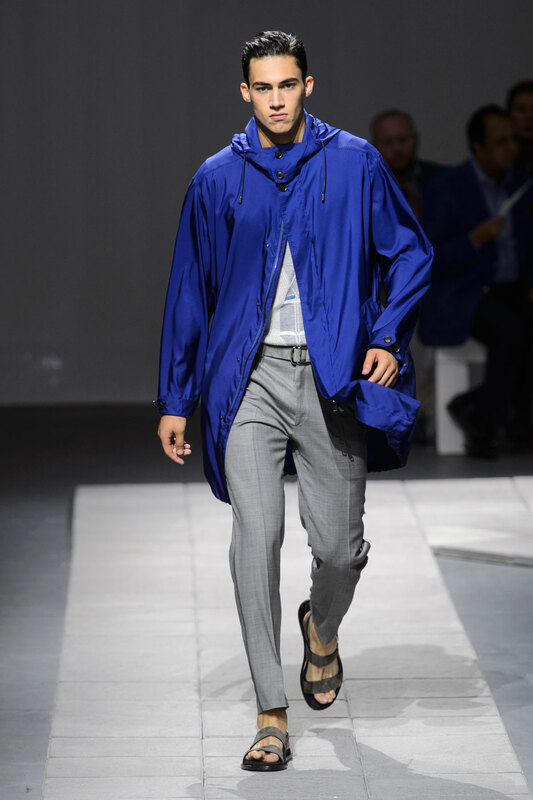 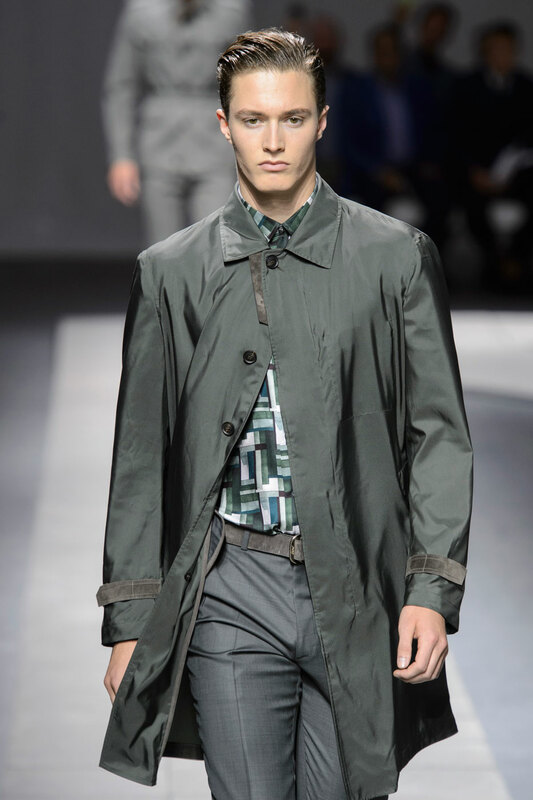 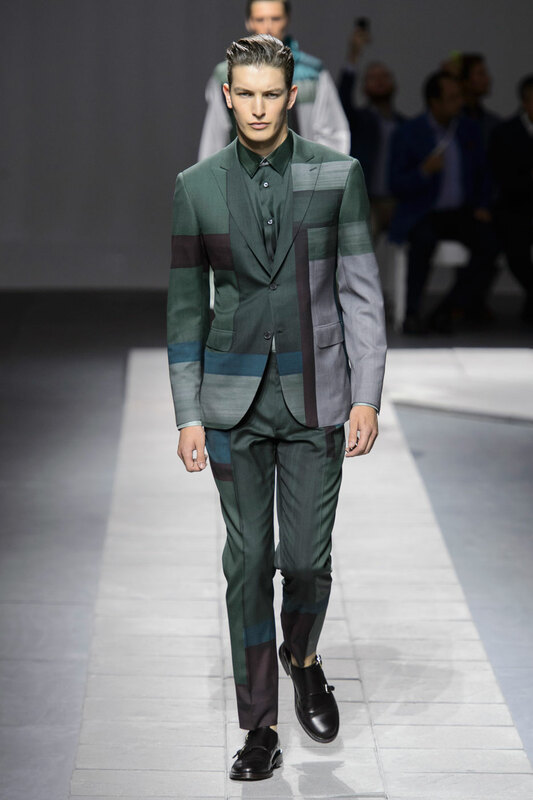 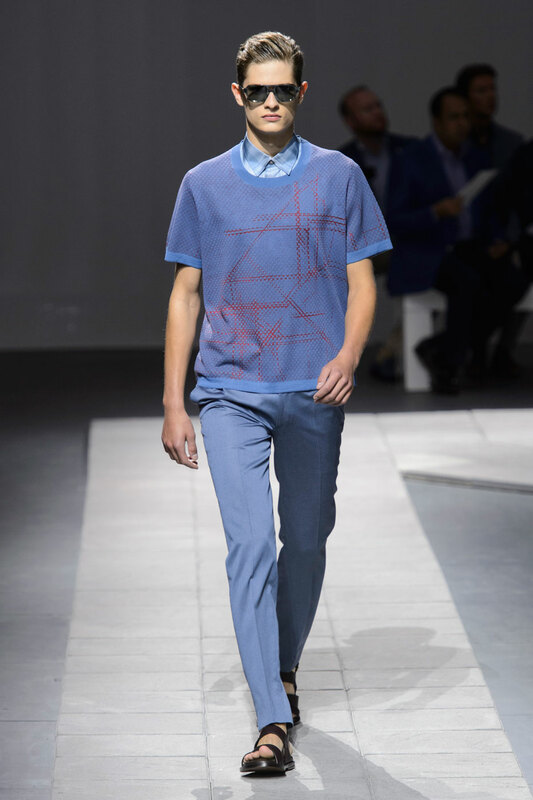 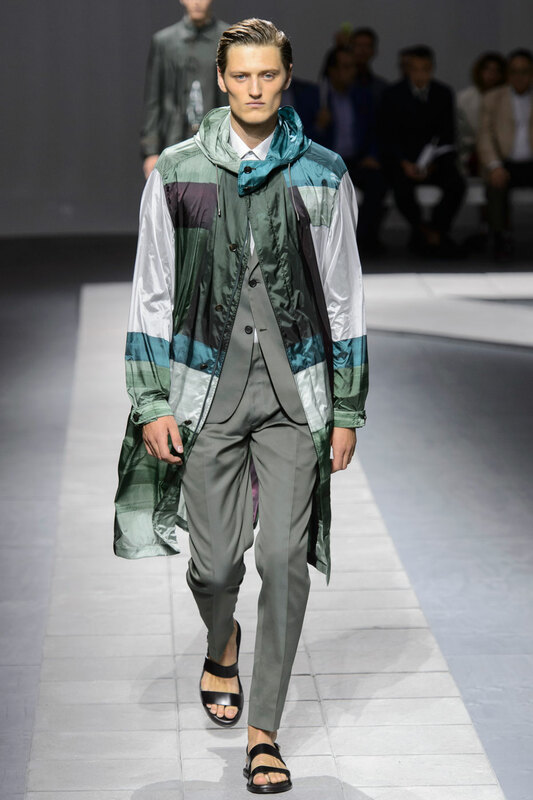 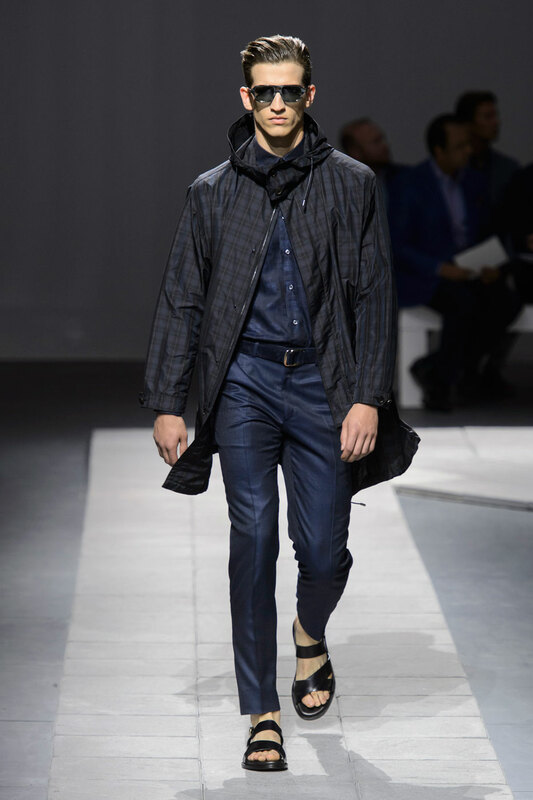 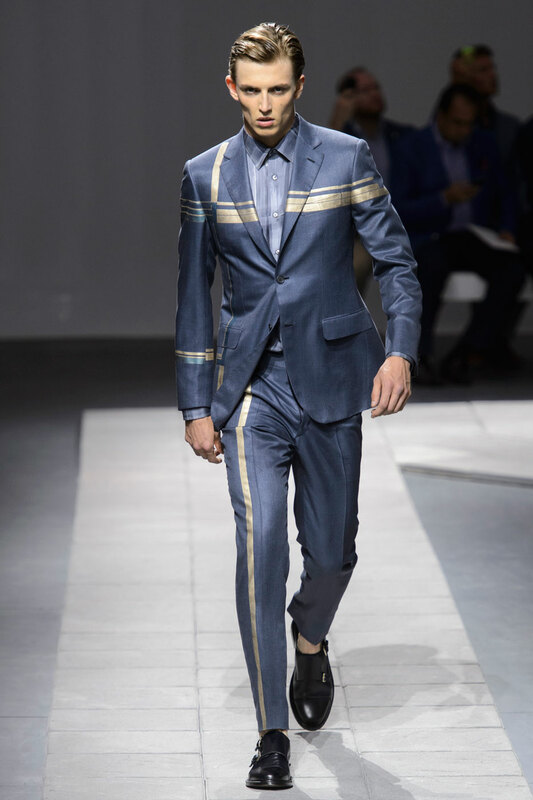 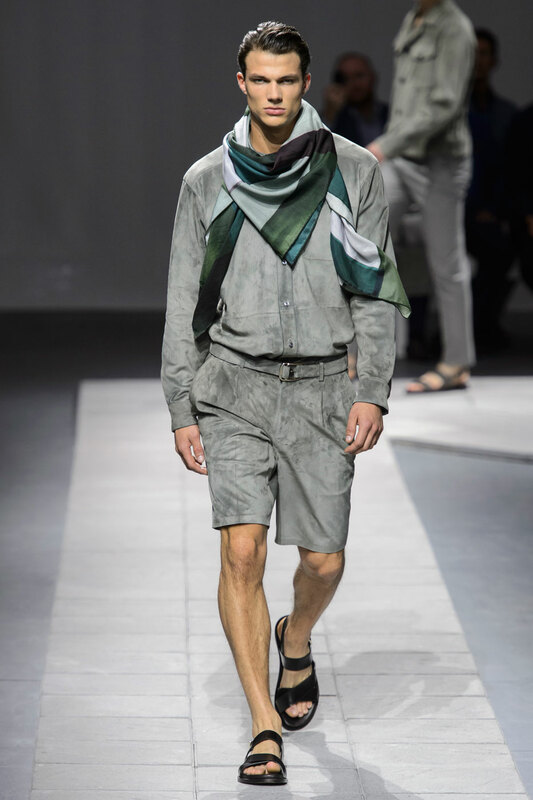 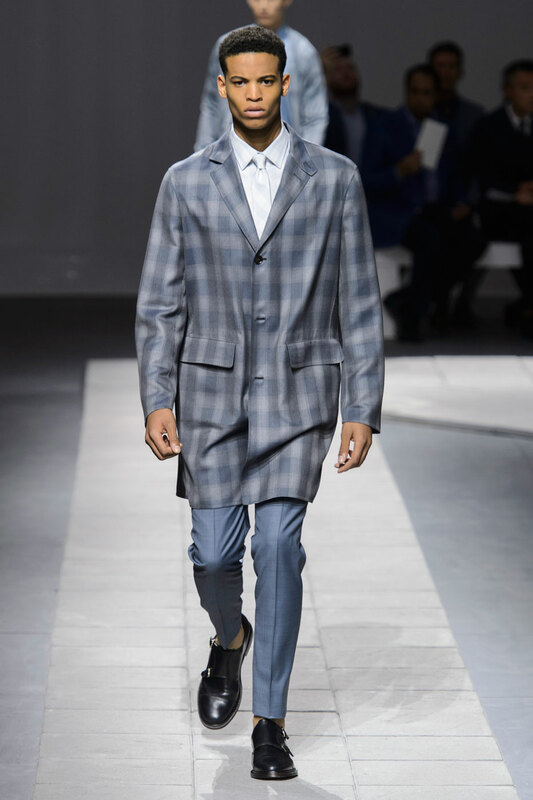 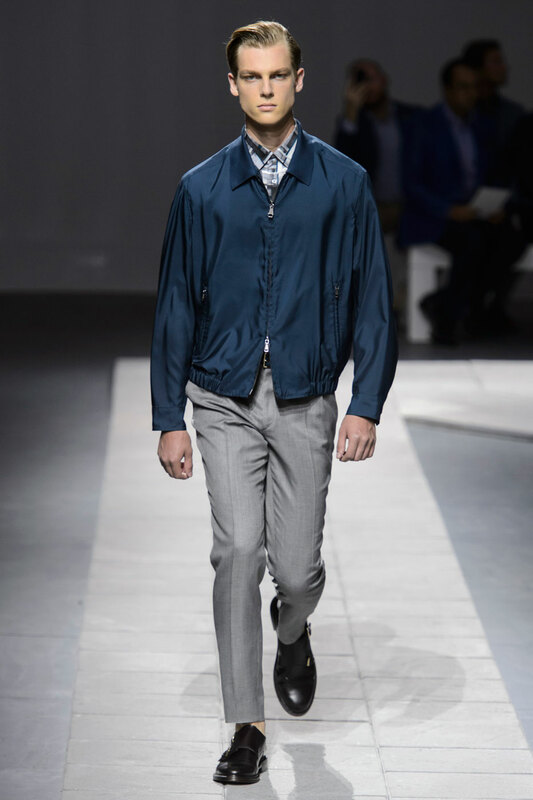 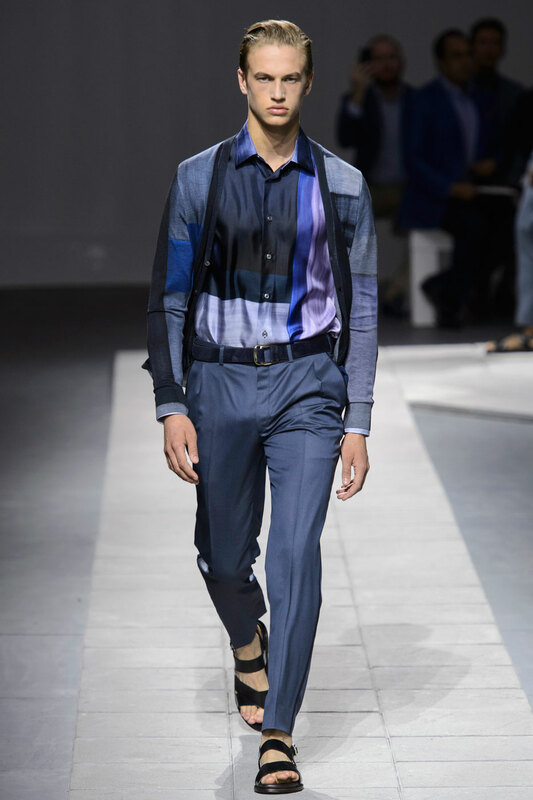 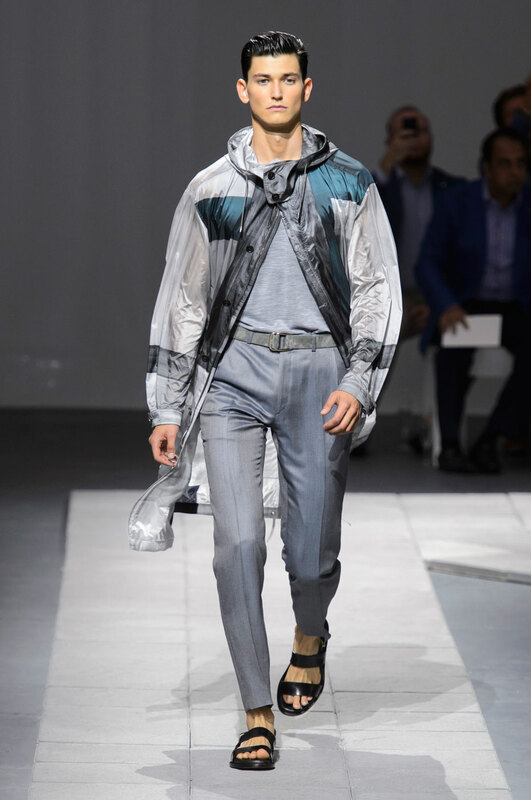 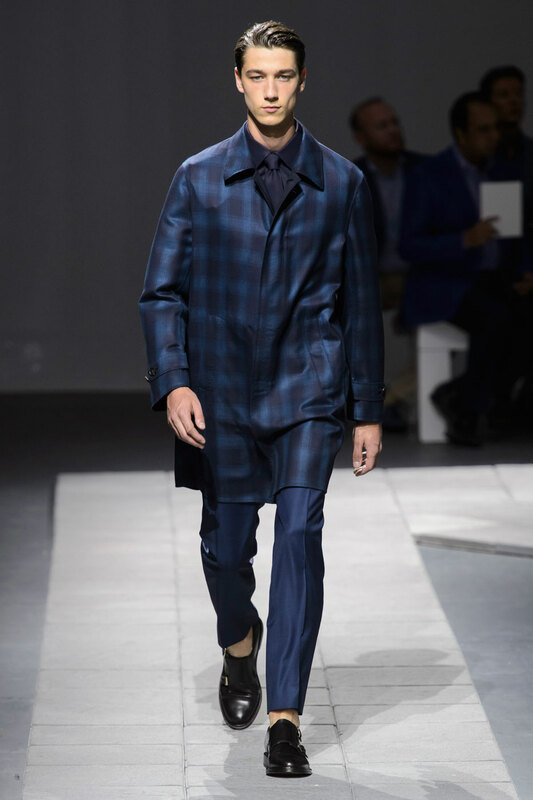 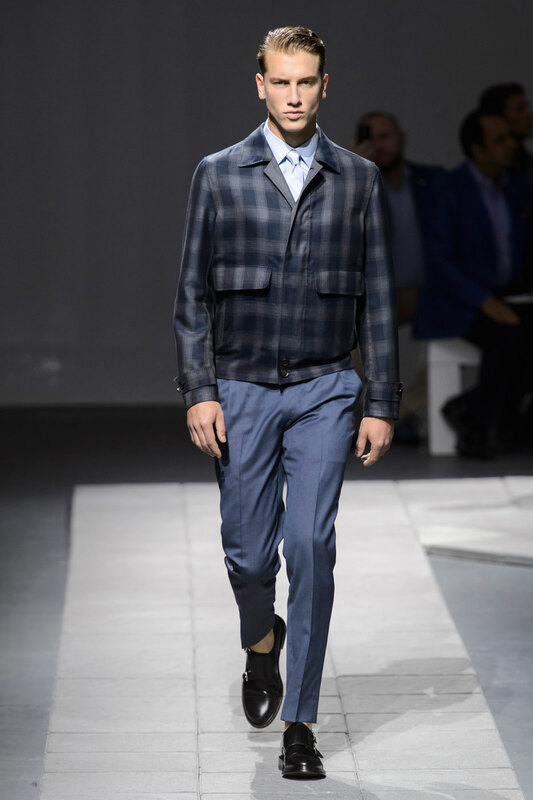 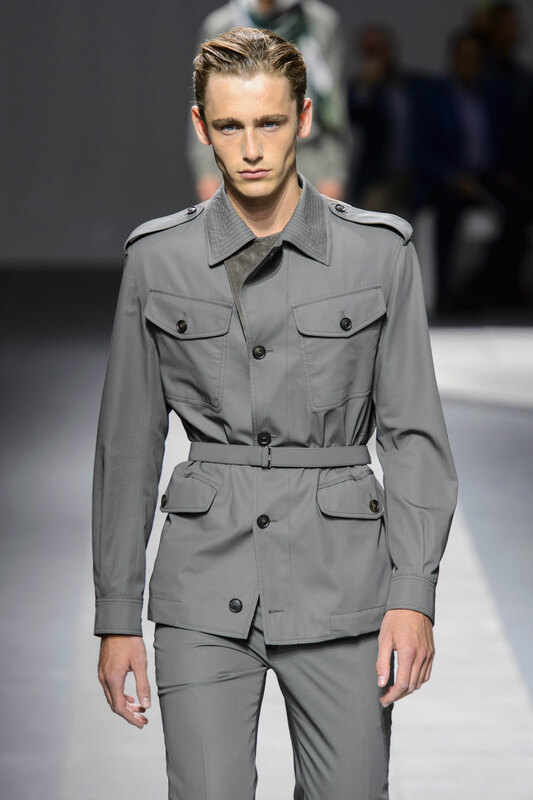 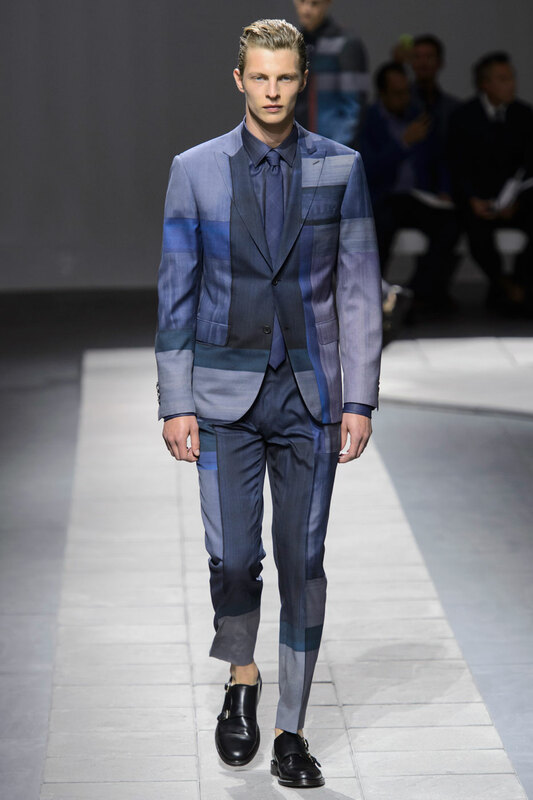 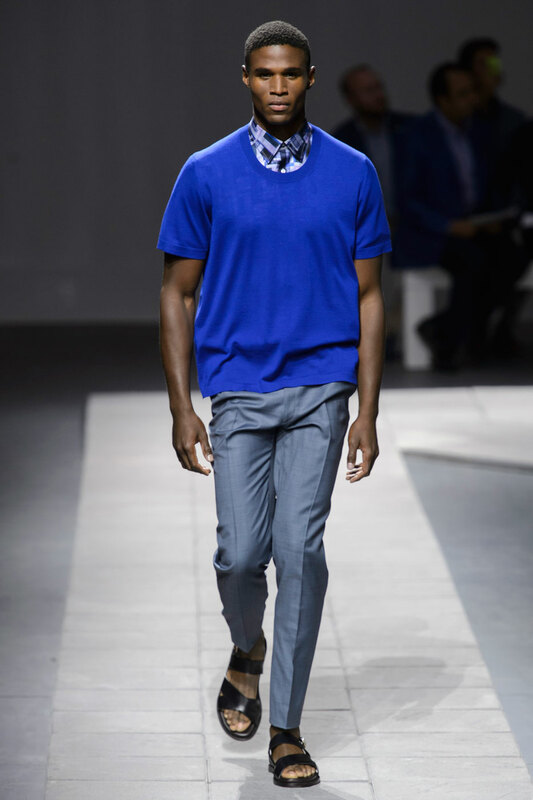 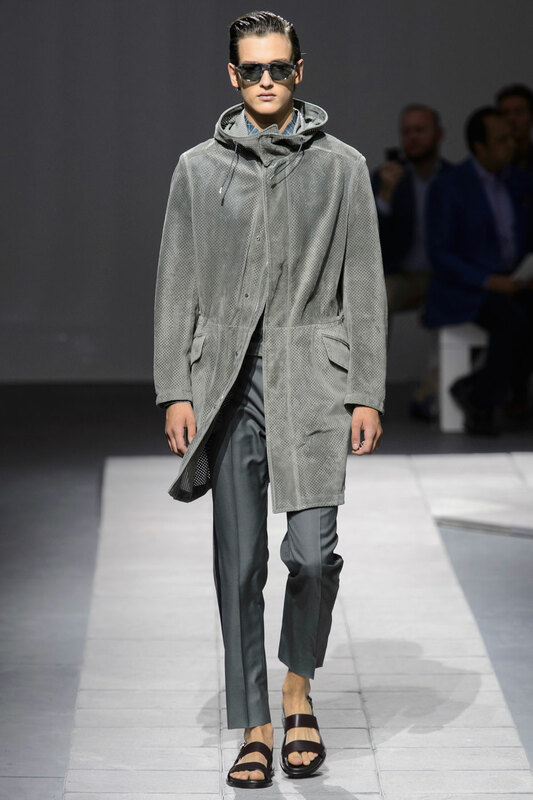 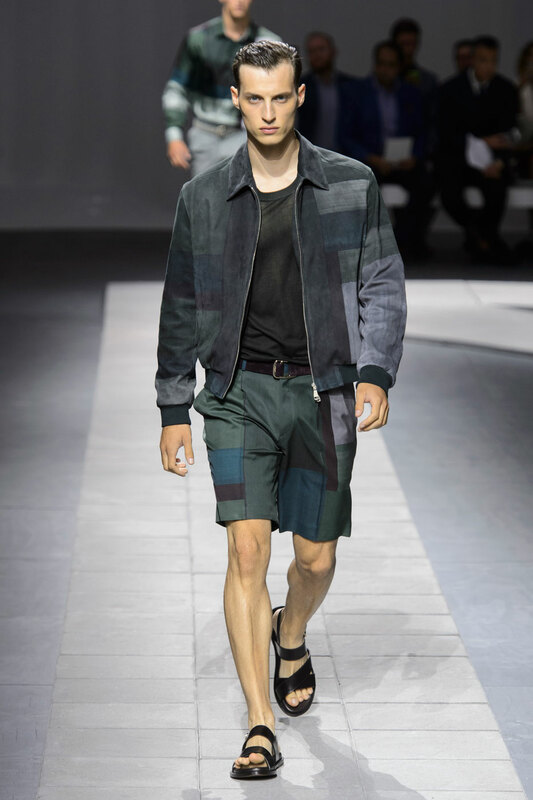 Brioni Men Spring-Summer 2016 – Review to follow shortly! 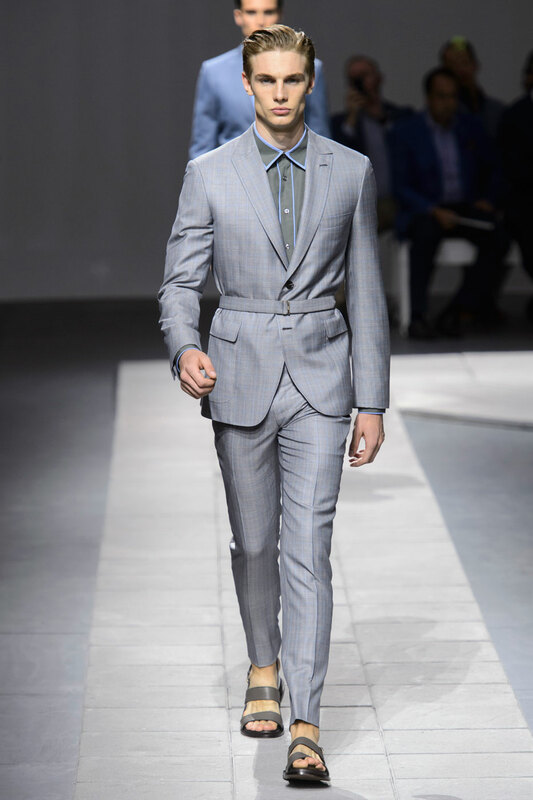 Staying true to it’s iconic ‘elegant gangster’ aesthetic , Brioni showcases a collection that is rooted in an updated mafia culture. 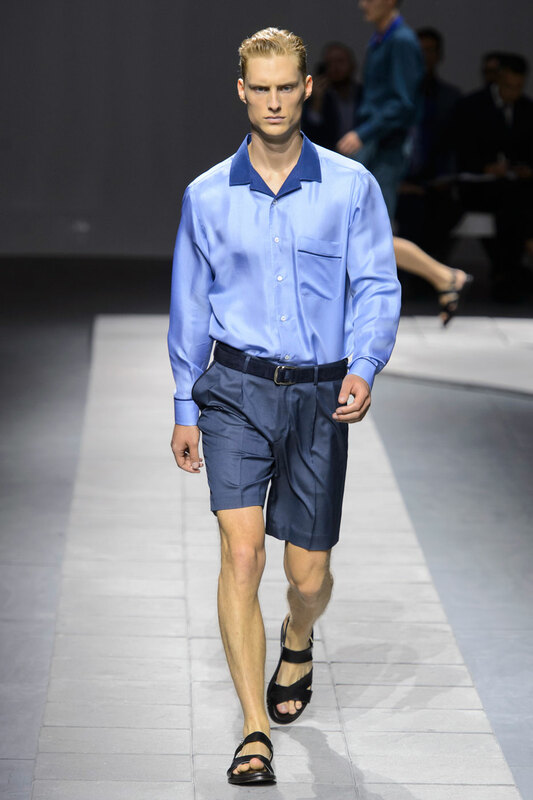 ”There is a chicness about gangsters,” Mr. Bolton said. 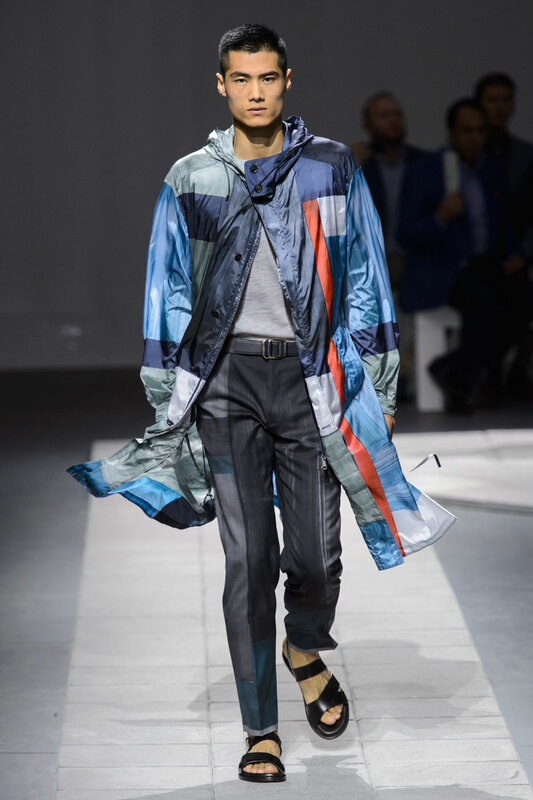 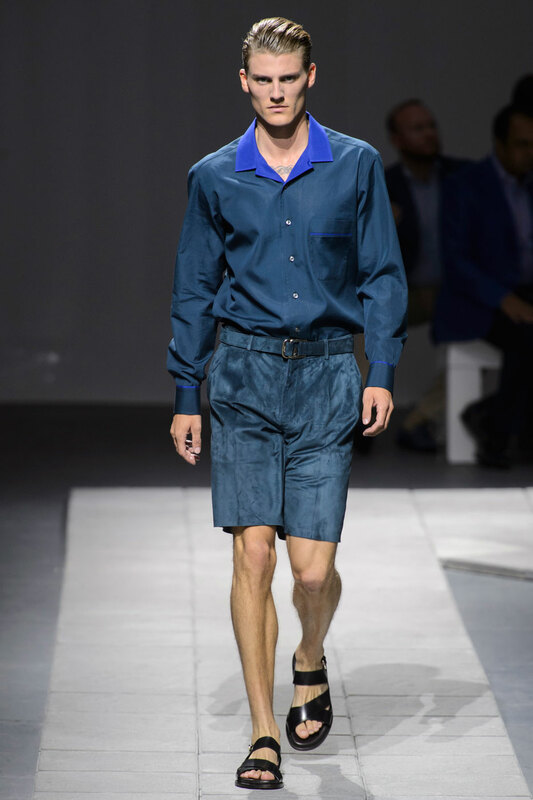 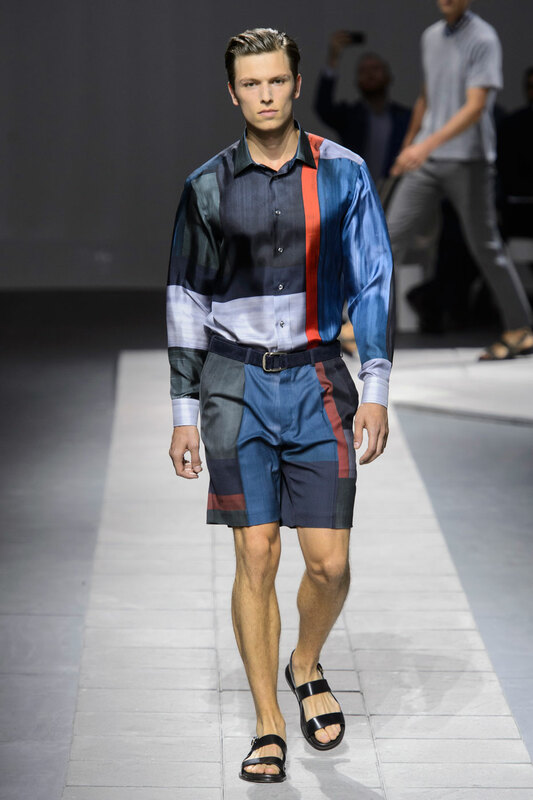 ”A hard-edged tailoring that telegraphs masculinity and machismo in a highly romanticized way.”Unlike his SS15 Neapolitan collection , 2016 uses structure to showcase the virility of masculine pheromones. 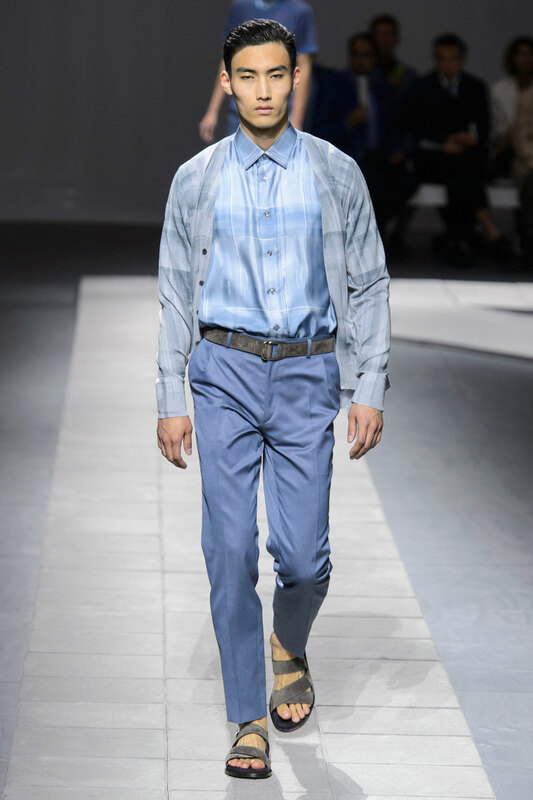 Silhouettes are distinguished, outlined by soft hues of baby blue that add an essence of elegance to the gangster aesthetic. 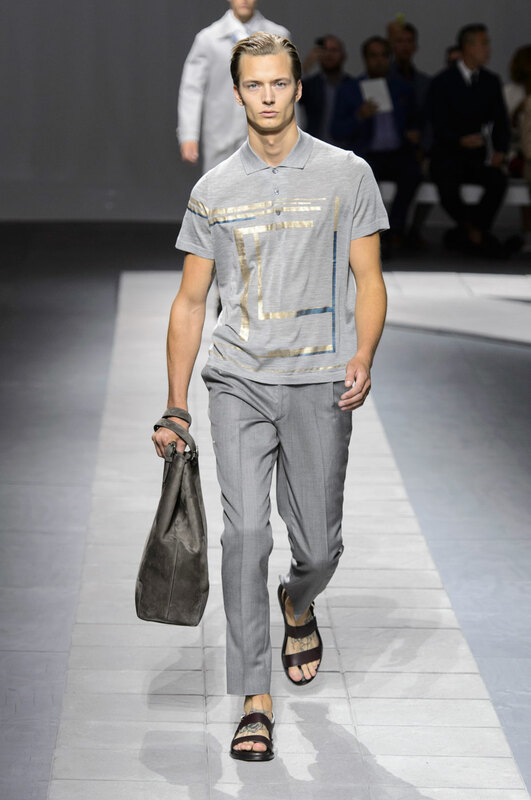 The refined luxury of the brand is memorialized through leather cross-over sandals from the highest quality samples of a luxury bred cow. 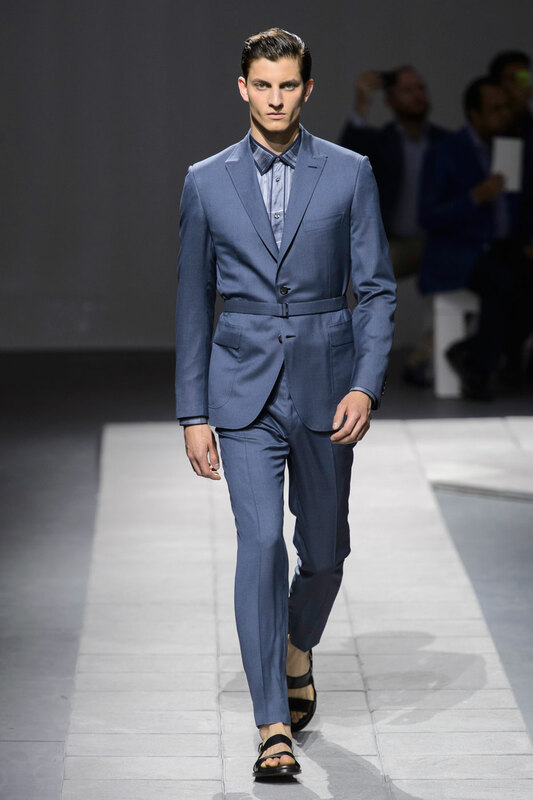 The ‘elegant gangster’ aesthetic is synonymous with the ego behind James Bond : smooth , attractive and charming to the ladies . 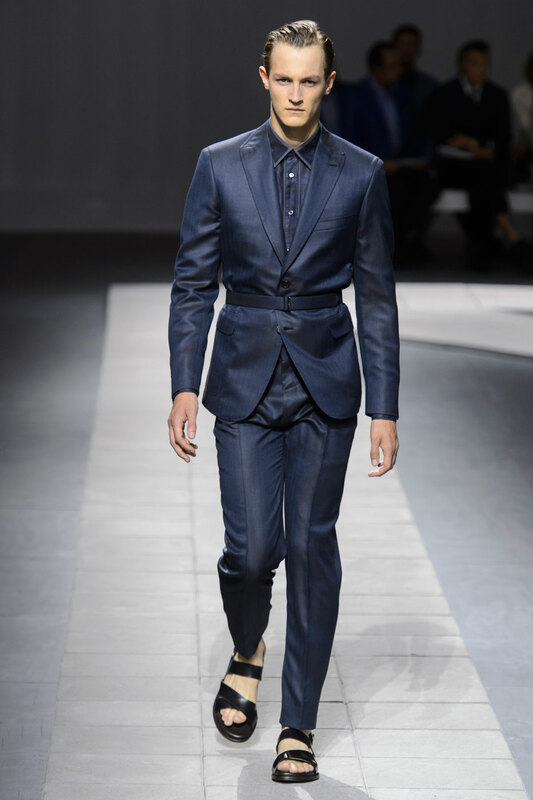 Each model is sharp , with slicked back hair exuding an aura of unattainable cool.